A world renowned-landmark of France, the Eiffel Tower is commonly associated with being an architectural wonder and an icon to represent the city of love and lights. The Eiffel Tower has a unique and fascinating history and seen many changes and world events unfold around it since it was built in 1889. 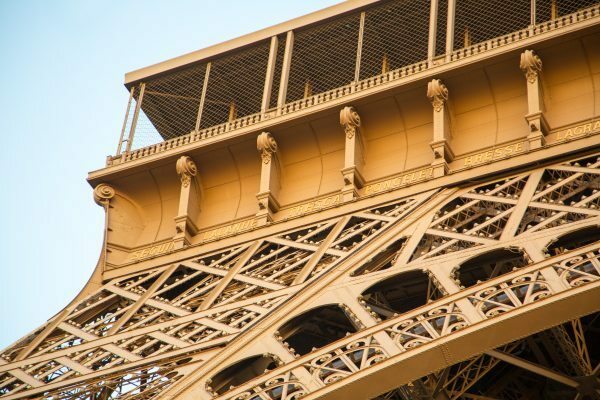 There are some things about the Eiffel Tower that are common, but there are also some lesser known facts about it. 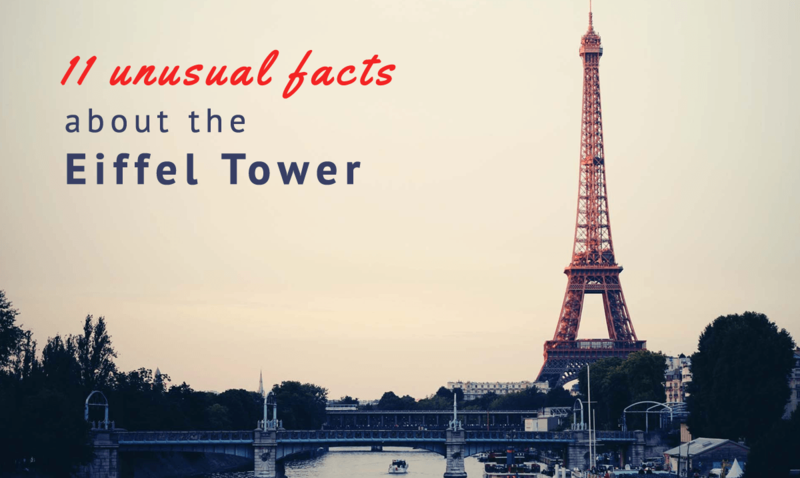 These unusual facts about the Eiffel Tower all contribute to its significance in the world today. 1. 400 billion euros worth of mistakes were made by the Spanish. 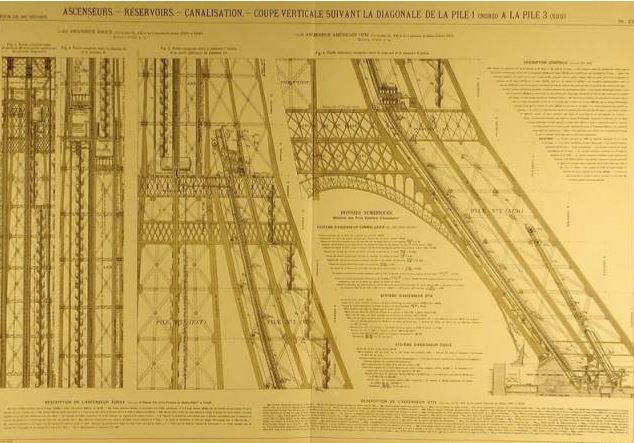 The Eiffel Tower was originally intended for Barcelona, but Spain rejected the project. This proved to be a costly mistake for Spain who missed out on being the home of this iconic landmark. 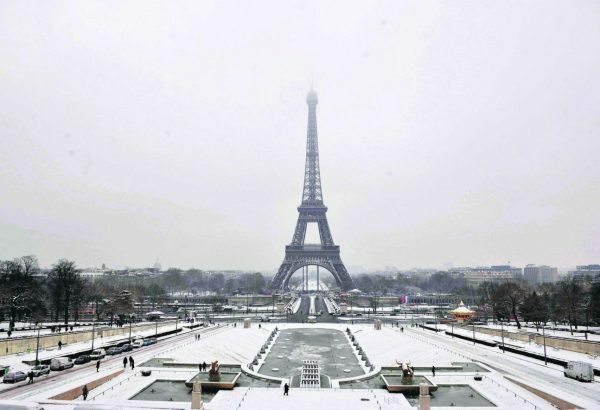 The Eiffel Tower is now worth over 400 billion euros. This is six times more than the Colosseum in Rome which is worth 91 billion euros, and more than the Tower of London which is worth 70 billion euros. That’s 400 billion reasons for Spain to be feeling a little regretful. 2. The Eiffel Tower was never meant to stay forever. It is hard to imagine Paris without the Eiffel Tower, but if everything had gone according to the original plan, the centre of Paris would be bare. The Eiffel Tower was built in 1889 as part of the Paris exhibition. It was only meant to remain as part of the exhibition for 20 years and then be moved. Thankfully, the designers realised how wonderful it looked in the city and chose to keep it there. 3. The French thought that Hitler could use some exercise. 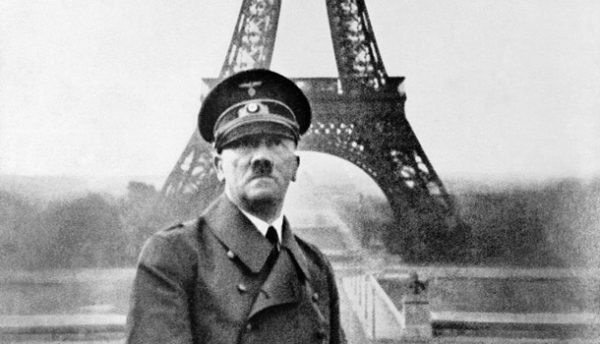 During WWII when Hitler visited Paris, the French cut the lift cables on the Eiffel Tower. This meant that Hitler had to walk the steps if he wanted to reach the top. This was a sly manoeuvre on the part of the French to express their resentment to the war. The French thought that Hitler would be too lazy to climb all the steps, but he “surprised” everyone by making it to the top. 4. Painting the Eiffel Tower isn’t light work. The Tower needs to be repainted regularly each to keep it in top condition so that it looks neat and clean in all the photos taken of it. This maintenance, however, involves a lot of work. The paint on the Eiffel Tower weighs as much as 10 elephants. 5. 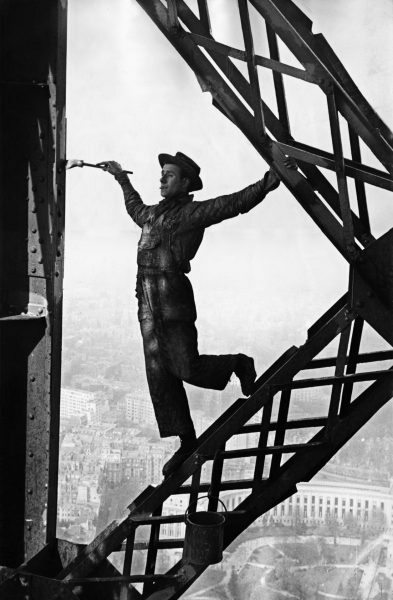 During the First World War, the Eiffel Tower had an important role. 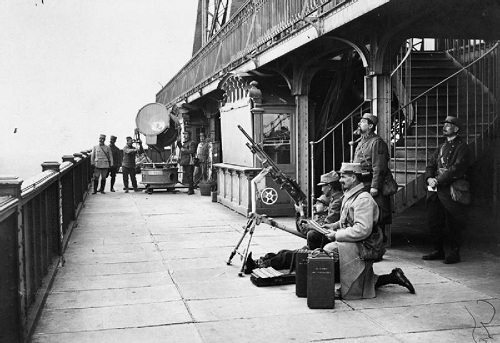 During the Battle of Marne in WWI in 1914, signals were sent out from the top of the Eiffel Tower in order to direct the French troops to the front line. This was not only a strategic organisational tactic to get the troops moving, but was also a symbolic send off to wish the soldiers luck in the war. 6. Everything famous landmark needs a well-known nickname. The Eiffel Tower was given the nickname The Iron Lady from 1925 to 1935 and is still called this today. It got this name because it was used as a commercial billboard by car company, Citroën. 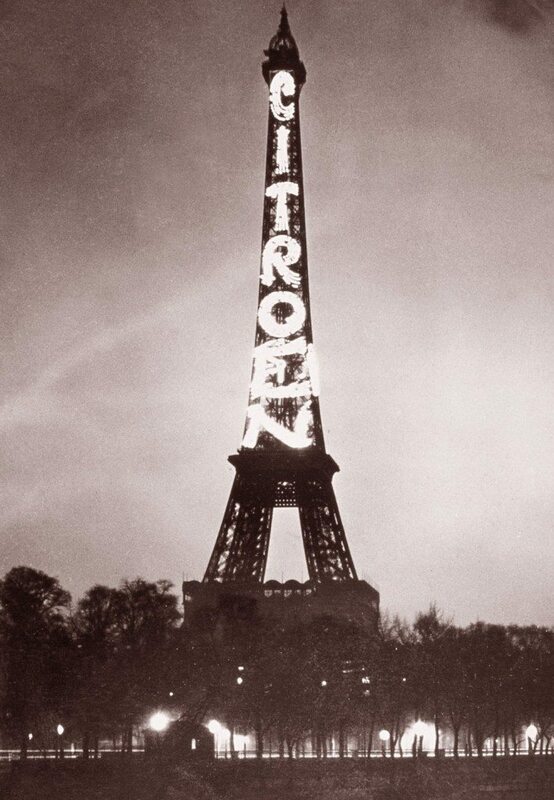 These billboards featured the Tower with the word Citroën spelled out vertically. It was the only company to use the icon as part of their advertising. 7. This great symbol of France recognises the people who make France great. 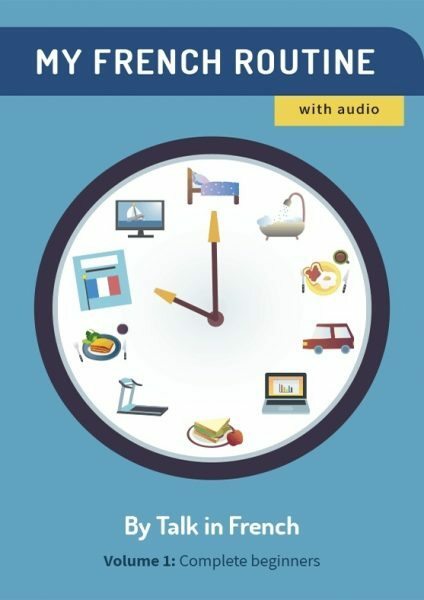 This great symbol of France recognises the people who make France great. As well as being an important icon in French history and culture, the Eiffel Tower also pays tribute to other renowned figures in France. There are 72 names of famous French scientists, engineers, and notable people engraved at the base of the tower. 8. 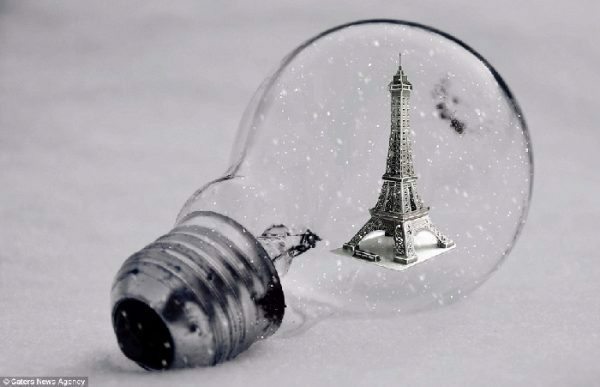 How many lightbulbs does it take to make the Eiffel Tower sparkle? The reason it sparkles so brightly when illuminated at nighttime is because there are 20,000 lights adorning the structure. A lesser known fact is that it is illegal to publish photographs of the Eiffel Tower when it is lit up at night. A clause in the EU copyright act states that because the lights are considered an artwork in itself, taking and sharing photos of the Tower at night needs to comply with copyright regulations. It is only legal when you contact the Société Nouvelle d’Exploitation de la Tour Eiffel. 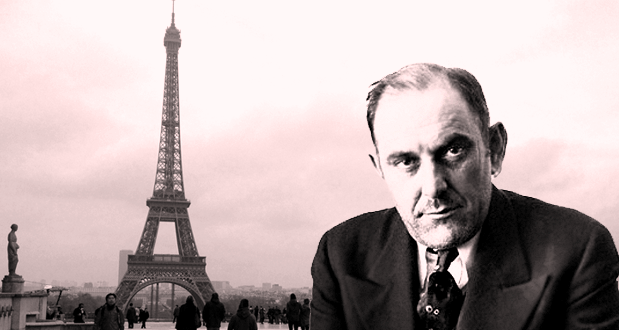 Since the Tower wasn’t meant to be a permanent structure, a sly con artist named Victor Lustig attempted to sell the iron for scrap metal when it was going to be taken down. He tricked a number of scrap metal dealers into believing it would be available for purchase. He accepted offers and bribes from the dealers in cash and then fled to Vienna. He got away with this the first time and decided to try his luck a second time, a month later. This time he wasn’t so lucky and almost got arrested for his actions. 10. If you love the Eiffel Tower so much, why don’t you marry it? Well, someone actually did marry it. An American woman named Erika LaBrie visited the Tower in 2004 and literally fell in love with it. She ‘married’ the Eiffel Tower in 2007 and changed her name to Erika Eiffel. Erika takes her love affair with the Tower quite seriously and she is the founder of OS International, an organisation for people who have relationships with inanimate objects. Hopefully she doesn’t get jealous when her life partner features in thousands of photographs with other people. 11. Canada wanted a piece of the Eiffel Tower, too. The Eiffel Tower was almost moved to Montreal in 1960 when a secret agreement between Charles de Gaulle and the mayor of Montreal was made. The Eiffel Tower was going to be transferred to Canada for the Universal Exhibition in 1967, but the company that managed the Tower vetoed the decision. You would be doing me a HUGE FAVOR by sharing it via Twitter, Facebook, Google + or Pinterest.